As always, things at Sim Trava have been hectic – we kicked off the year with a bang, spending the first few weeks of January frantically refurbishing our store in Frodsham to bring it up to our high Sim Trava standards. The store looks great – light but warm, welcoming for all of our visiting customers and a nice environment for our Frodsham colleagues to work in. We really appreciate all of the team’s help throughout the past few weeks to ensure things still ran smoothly right across the business, despite all the work that was going on. As well as refurbishing existing stores, we’ve also been gearing up to open two new ones – bringing us up to the big 30th store milestone this month. 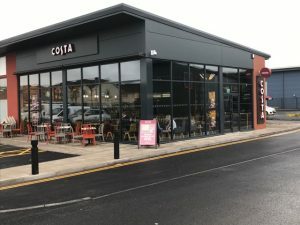 The first of the new stores was opened in week one of February in the Fulwood area of Lancashire. The opening was a busy time for everyone but extremely rewarding for all involved. We’re pleased to see the store doing so well already which is down in no small part to the amazing team we are building up in this store around manager Sharon. Opening the store in Fulwood has also given us the opportunity to introduce 10 new faces into the Sim Trava fold, which is always welcome news. 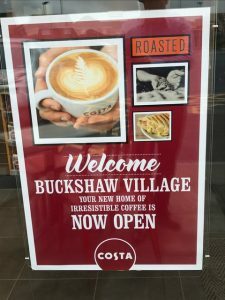 This week saw us open our 30th store in Buckshaw Village, also in Lancashire. While this is a smaller store, we know the team there are capable of delivering big results and giving all of our customers a taste of that famous Sim Trava customer service. We’re delighted to have welcomed a further nine new members to the Sim Trava family at this store. February will finish on a high for Sim Trava with a third new store opening next week in Monton, located in the Eccles area of Greater Manchester. 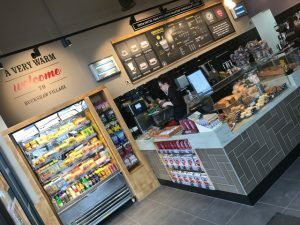 We’re really looking forward to getting this store open to the public so that our customers here have the delicious convenience of Costa right on their doorstep. Opening this store will see us add eight more colleagues to our growing Sim Trava team – great stuff! Clearly, it’s a very exciting time here at Sim Trava but don’t be fooled into thinking the momentum is going to slow down anytime soon – it isn’t! Though we’ve just hit the big 3-0, a massive milestone for any business, we’re still focusing on the future and will likely open our 34th store by the end of this year. We’re also going to look at refurbishing four existing stores to bring them up to our high Sim Trava standards. As well as work on the stores, we’ll be recruiting approximately 50 additional people into the business to deal with demand as well as a number of apprentices. If you know someone who’s hardworking, with a good attitude and work ethic, and who would be a good cultural fit be sure to put them in touch with us so that we can continue to build on the success and continue to grow our brilliant Sim Trava family.